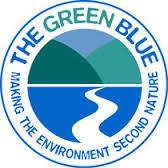 THE GREEN BLUE is an innovative initiative from the British Marine and the Royal Yachting Association designed to encourage the recreational boating community to minimise its environmental impacts. The programme focuses on several areas of potential impact: oil and fuel; anti-fouling and marine paints; waste management; resource efficiency; and effects on wildlife. Initiatives include a collaborative approach to cleaning up Bristol’s historic floating harbour, an enclosed freshwater environment fed by two rivers. Improving water quality in the harbour is a key aspect of the campaign. It involves the installation of four new pump-out facilities, awareness raising among the boating community on waste-water disposal and the launch of a certification scheme for those who do so in an environmentally acceptable way.